Indonesia is the second largest producer of seafood in the World (after China). Seafood has always been important to Indonesia (consuming some 50kg/person/year) even more so as it supports the livelihoods of millions of Indonesians. With wild fisheries declining or stable, demand for quality seafood in Indonesia increasingly is being met from aquaculture. Sustainable development of Aquaculture follows agriculture in the efficient production of protein from freshwater (rivers and lakes), coastal ponds, and the sea. 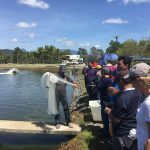 The Australian government, through its Australia Awards Indonesia (AAI) short course program, is supporting a program of Sustainable Aquaculture development. 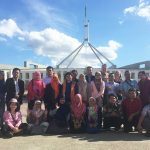 A pre-course workshop has recently been completed in Semarang and a two-week capacity building program has been completed in Australia. 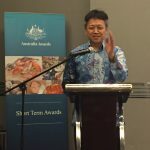 Australia has outstanding capacity in research and development, supply chain management, and value adding relevant to Indonesia’s needs for sustainable seafood development. Participants (AAI) from the Government (Ministry of Marine Affairs and Fisheries), the private sector, University, and NGOs are emerging leaders in Indonesia. 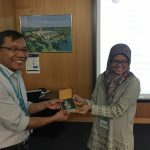 Through this program, they will connect Indonesia’s immense human resources with abundant natural resources for sustainable development and increased prosperity from Aquaculture. Particular opportunities exist in feed development (Indonesia imports most of its aquaculture feed or ingredients for feed), brood stock management and, in particular, developing the sea cage farming sector. Indonesia has abundant coastal resources ideally situated to sustainable develop sea cage farming (particularly for high-value species). However, in further developing aquaculture, spatial planning is essential. Expansion of fish farming in the sea need not be at the expense of other beneficial uses such as tourism, shipping, or commercial fishing. 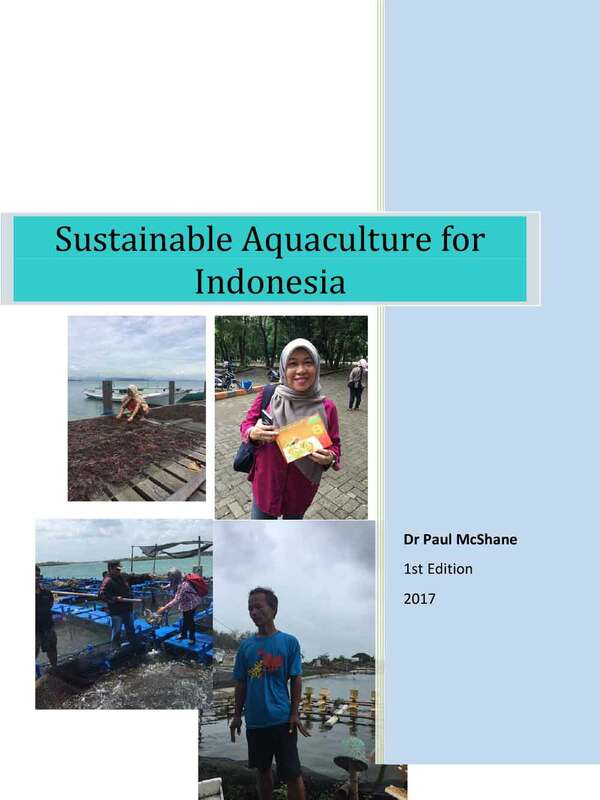 With demand for quality seafood from Indonesia’s growing middle class and from other countries, sustainable aquaculture development offers to meet Indonesia’s policy of sustainability and prosperity. Education, research and development are fundamental.